The talk is tough. The lines are drawn. And it has nothing to do with elections. This time it’s the annual Etes vs. Bruzers football game between current female law students and the women who preceded them at UH Mānoa’s William S. Richardson Law School and who are now respected attorneys and judges in the community. The Ete Bowl will be played on November 18 at 1 p.m. at the UH football practice field behind the softball diamond in the quarry area. Following is a post-game tailgate potluck, with food provided by the two teams. This year’s Ete captain, Christilei Hessler, already knows that it’s going to be a tough battle. “It will be back and forth for the entire game,” said Hessler of this famous dust-up between law students and their more senior adversaries. This is the 34th year of the football grudge match and Hessler is predicting a rousing turnout with as many as 300 fans hollering for the teams. The Ete Bowl is a Richardson Law School tradition that began way back in 1978 as a friendly grudge match between the second year women and their third-year counterparts. The first game turned out to be such a hit, that the annual battle continues to rage on every year. First Circuit Court Judge Rhonda Nishimura remembers playing as an Ete back when she was at the Law School in the mid-1980’s. These days she may turn out to watch, but she’s not about to get into the action on the field anymore. The football game and the weekly practices help reduce stress from long hours of studying, and they build lasting friendships. Hessler says that she began playing football with the women’s team in her first year and the friends she made are still some of her best buddies. 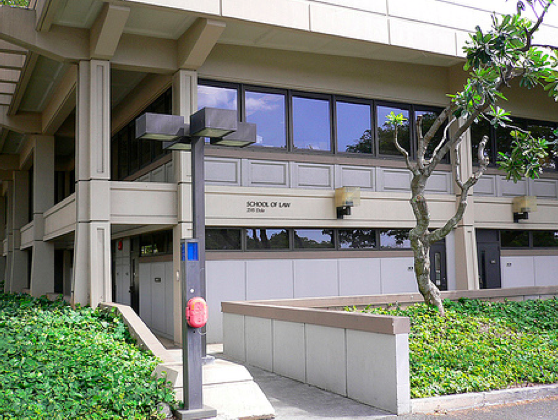 Hawai‘i Supreme Court Associate Justice Sabrina McKenna, a Bruzer regular who played as an Ete during her Law School days, commends the training it provides in teaching how to work together successfully in any organization. The Etes traditionally are coached by male law students, and practicing attorneys serve annually as Bruzer volunteer coaches. In addition, male classmates perform dance routines as the Ete queen and court at halftime. More fun to watch than the Super Bowl, with a better half-time show too!